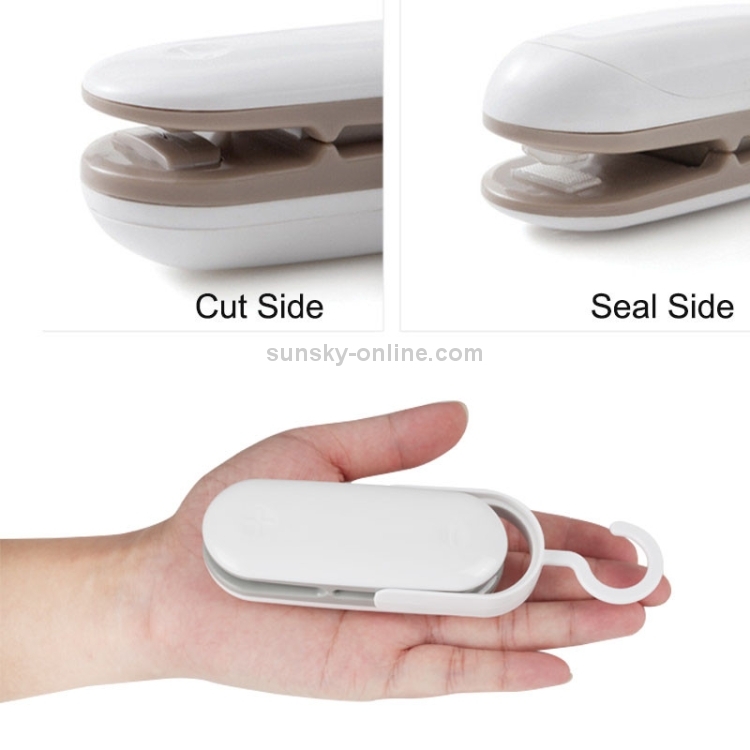 【DUAL FUNCTIONS & HOOK DESIGN】 The bag heat sealer is not only a SEALING machine but an OPENING device. Unique Slot and Hook can shut off power when not in use and hang over any corner of kitchen. 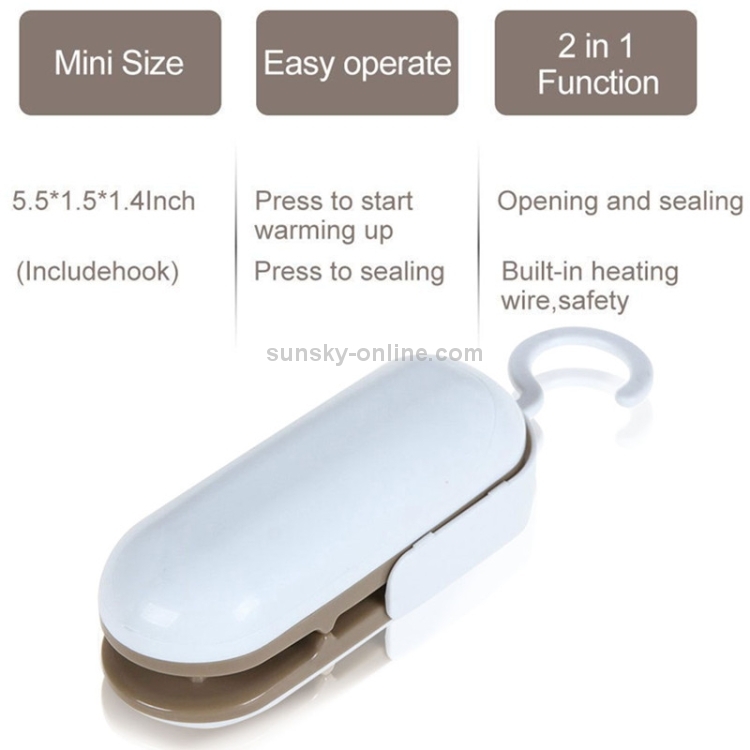 Very safe and convenient mini bag sealing machine. 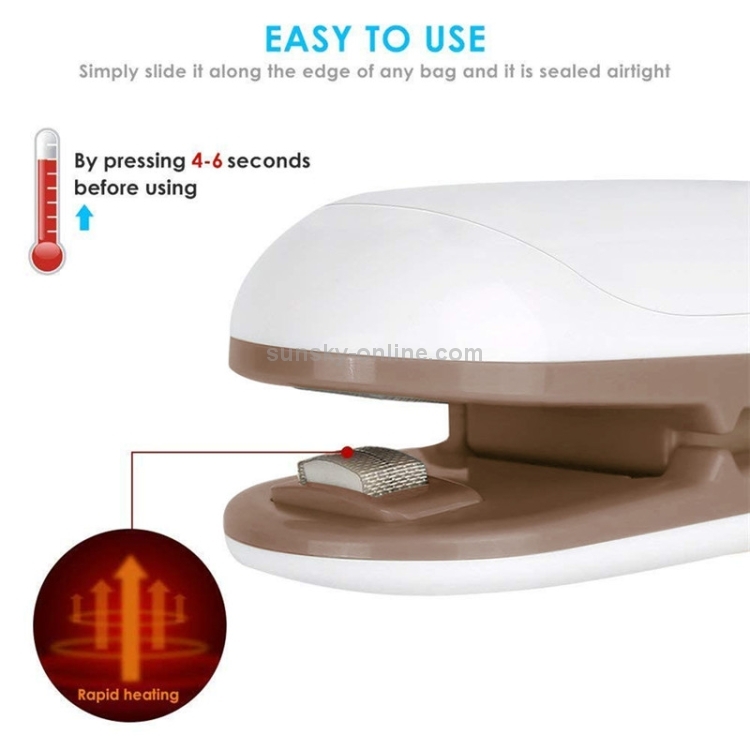 【BEST FOR HOME USE】The bag sealer is perfect for sealing cereal bags, plastic party bags, treat bags, taker-bag, and plastic rolls. Re-use the original bag instead. to prevent air or insects from entering the bag, keeps foods and snacks fresher, longer, healthier. 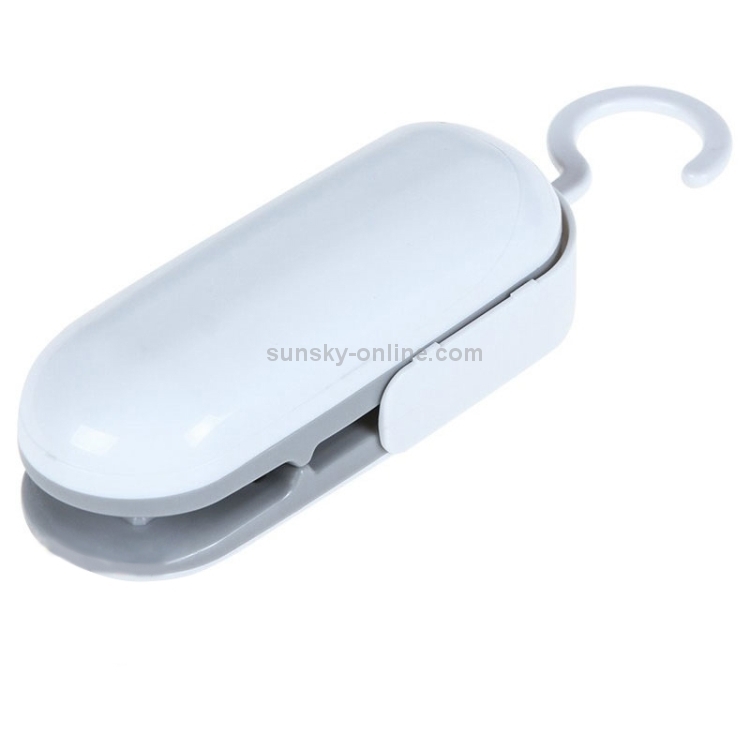 【EASY TO USE】This heat sealer machine is mini and portable. 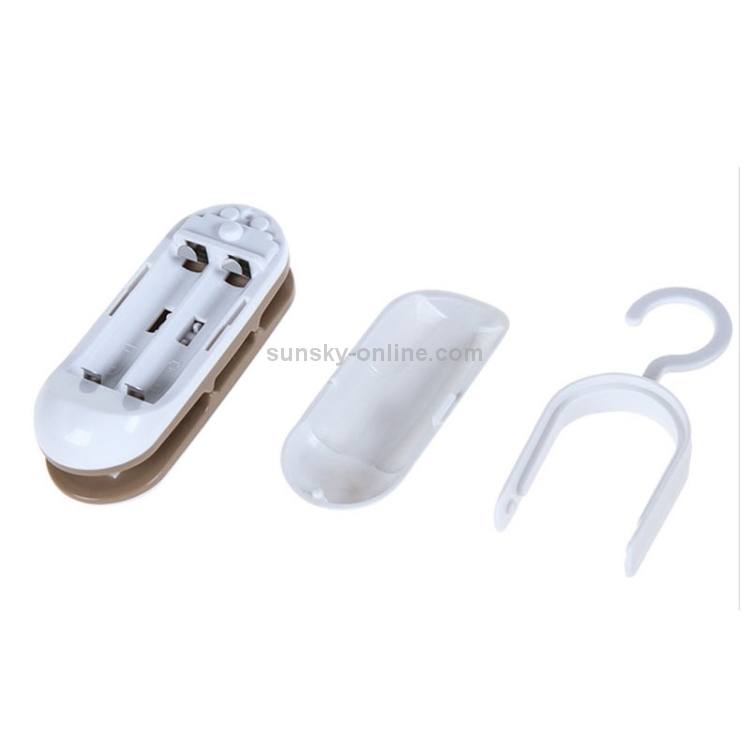 Operates simply with 2 AA alkaline batteries(Battery is not included in the package). Preheat the item by pressing 4~8 seconds before using, then simply slide it along the edge of any bag and it's sealed airtight. 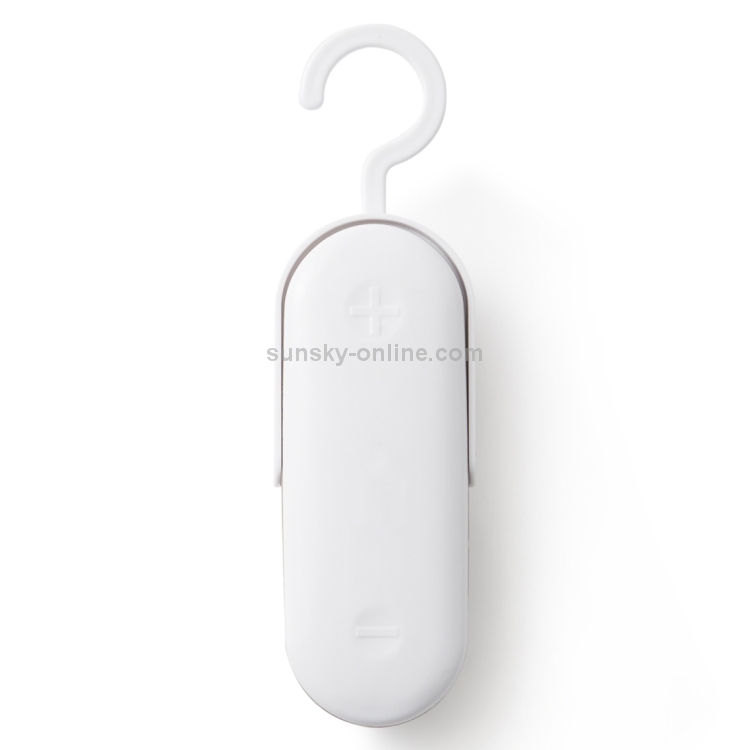 【HIGH QUALITY】ABS material, resistance to high and low temperature. Non-Toxic, Odorless, Durable and Compression, made with precision, the leader in sophisticated housewares and kitchen products. 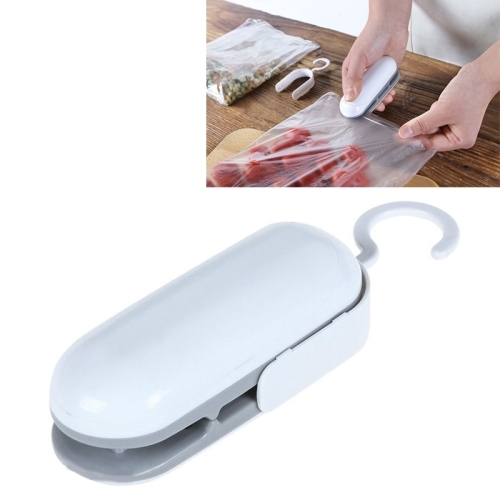 Provide inexpensive and easy way to perfectly reseal unused portions of food in seconds. No more stale chips and snacks. 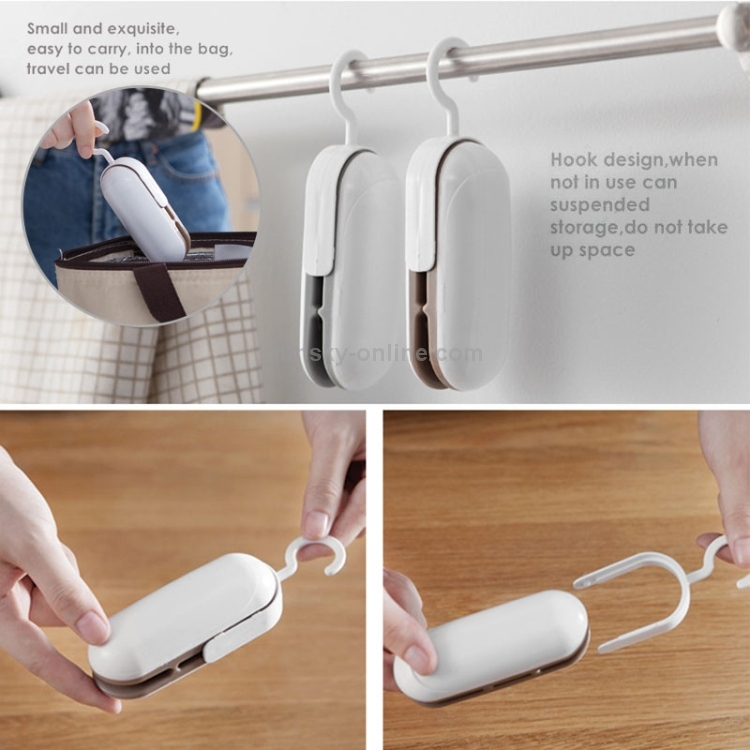 Small and exquisite, easy to carry, into the bag, travel can be used, the protection of the hook design to ensure safety. Works great for other uses: seal up cosmetics for travel or re-seal frozen vegetable bags.